The Dhrupad Music Society is a registered charity. Our aim is to spread awareness, interest and education in Dhrupad, a unique and ancient form of Indian classical music. We are keen to create opportunities for teaching, mentoring, and training in Dhrupad at all levels of ability. 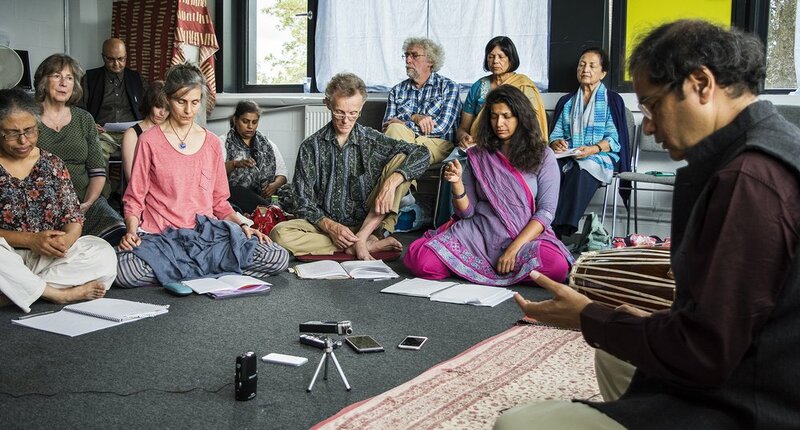 Since 2000 there have been annual Dhrupad workshops in the UK, centred on Pandit Uday Bhawalkar. These were originally set up and run by the Asian Music Circuit (AMC). 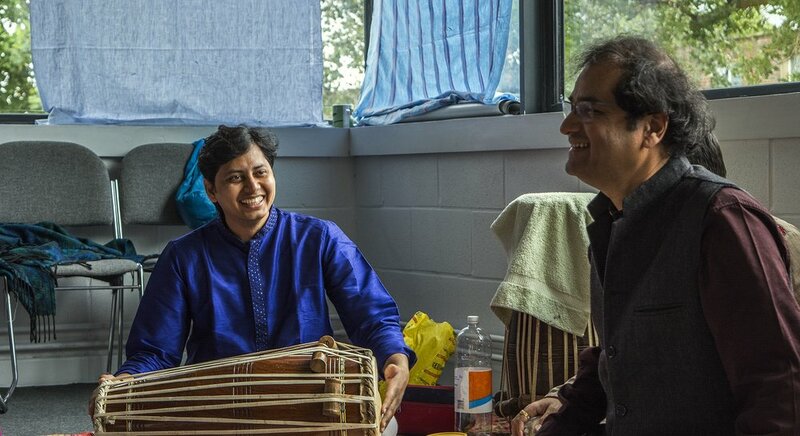 In 2015, when the AMC's interest moved elsewhere, a group of dedicated students set up the Dhrupad Music Society to continue and develop this great tradition. Our Management Committee comprises Indrani Purkayastha (Chairperson), Atul Patel MBE (Treasurer), Sohini Ganguly (Secretary), Olivia White, Rishi Lakhani, Saara Maajid and Shail Patel. Since 2015, with the huge support of Udayji, we have been organising annual workshops, for students from a wide range of different backgrounds, abilities and styles of music. We are also following up with an extended series of workshops and concerts to develop the Society’s activities in education, history, heritage, theory and performance of Dhrupad.